The Naturally Fit: Must Watch Health Documentaries! Roughly 2 years ago I watched Food Matters as my first health documentary. After watching it I just couldn't believe, it was a hard thing to swallow, but as I continued to do my research I realized that the only thing that should be hard for me to swallow should be the bad food I've been giving my body. 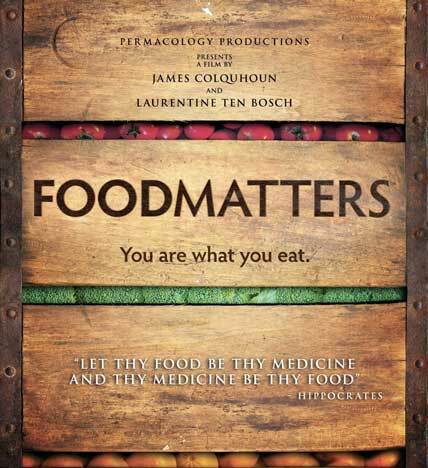 Food Matters is an in-depth eye-opener about what your Doctor isn't telling you, or what he might not even know! Learn about what's really happening to your food, why you're always getting sick, and how with the right food you can heal disease. Processed People is another must watch documentary that is a lot like Food Matter. It covers topics such as Why do we have an obesity epidemic? What is a processed person? How do you reverse being processed? and What happens if we don't change our eating habits?